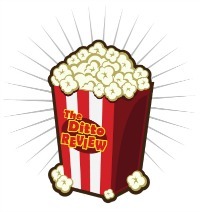 Pe ople ask me, “Why are you writing a movie review blog?” And to that I respond, “Some things just seem to go together like peas and carrots or cookies and milk.” “My peas and carrots are movies and writing so it just made sense for me to create The Ditto Review, Play It Again Sam, a movie review blog. I have added The Ditto Book Review blog so stop by there sometime and check it out. This blog is my Writer’s Choice site where I post articles I’ve written about things that interest me and information about places I’ve traveled. The people at QPrism, a branch of DISH Network, wanted to bring awareness to an issue that has plagued a few of us in the past 2 years. That issue is Motorcycle Safety. Myself and many of the people that I work with day to day exercise our right to ride a motorcycle EVERYDAY possible and seeing as it is currently Motorcycle Safety Awareness Month, we wanted to do our part in creating safer roads for us all to ride on. We decided to not only make a PSA, but to make one that will really get people’s attention. We created and Infographic PSA that outlines the amount of deaths to motorcycle riders LAST YEAR as well as key safety tips that drivers AND riders should follow. Our goal is to help lower this number significantly for 2015! I hope you like the infographic and choose to post it, as I think we can all agree how serious of an issue this is!